HAVANA, Cuba — Despite the lack of resources and funding, Cuba has surprised many with its intricate healthcare system, which has been instrumental in affecting Cuba’s infant mortality rate. 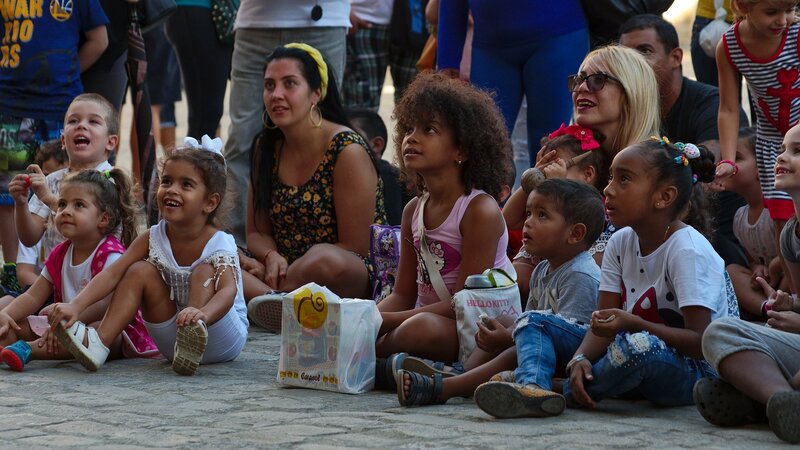 In 2018, Cuba’s infant mortality rate was four deaths per 1,000 births. For the last 11 consecutive years, Cuba has maintained the low infant mortality rate fewer than 4 deaths per 1,000 births. Other countries could learn a lot from Cuba’s healthcare system. Cuba does not have any private hospitals or clinics because all health institutions are government-run. The medical system in Cuba is made up of multiple tiers. The first tier is made up of family doctor and nurse teams who live close to their government-built family medical offices and work directly within their communities. The consultorios, family medical offices, are available 24 hours a day. They perform neighborhood health diagnoses biannually where risk factors are evaluated to focus on specific high-priority issues. A doctor and nurse team make up each consultorio to provide in-office or home care services for up to 900 patients. In the mornings, most of the teams’ time is spent on-site care, and afternoons they promote public health and education, collect health statistics, visit individual homes to address prevention and discuss environmental factors affecting patients’ health. Since each doctor and nurse team are assigned an area or district where they evaluate the health of the inhabitants. This ensures that they are more likely be aware of and to reach out to those who often avoid medical assistance. The next tier consists of the community-based polyclinics that contain primary care specialists. Those who serve in these polyclinics are familiar and close to the population. They are more acquainted with environmental and genetic risk factors. Each clinic contains from 20 to 40 doctor and nurse teams who work within the community to supervise and evaluate health work. They are more specialized in specific areas such as ophthalmology, cardiology, neurology and others. Cuba’s universal health care system provides free health care for all of its citizens. Healthcare is protected under the Constitution of Cuba as a fundamental human right. Despite low funding, neighborhood clinics offer easy access to healthcare with doctors living close by and on hand for after hours for emergencies. There is approximately one doctor for every 200 Cubans. The close relationships each medical professional creates in the Family Doctor and Nurse program fosters long-lasting, personal and trustworthy relationships. The meticulous record keeping and consistent visits with every patient in the community result in lower instances of illnesses. As a low-income country, Cuba focuses more on preventing disease and illness rather than pouring millions into curative medicine. As a result, the Cuban health system also recognizes the benefits of alternative and herbal solutions to healthcare issues. Instability of the economy has encouraged the Cuban government to incorporate these alternative medicines into the Western medicine model. Preventative medical care, diagnostic tests and medication for hospitalized patients are free, but some parts of healthcare are still paid for by the patient. Items that the patient can afford are drug prescriptions based on an outpatient basis, hearing, dental, orthopedic procedures, wheelchairs and crutches. However, for low-income populations, these items remain free. Cuba’s successful healthcare system is also in part due to its medical education system. Contrary to the traditional hospital-based teaching method, medical and nursing students mentor and intern with primary care facilities in order to create a community-based teaching method with more one-on-one attention and focus on individual growth. Not only are students able to learn medicine at a community-based level but they are also exposed to the social, economic and political factors that contribute to one’s health status. Students are taught important medical ethics and values along with advanced science and technology. Cuban medical schools are government-run and tuition-free. Important subjects such as primary care, public health and social factors are incorporated heavily. All physicians enter a six-year training program directly after high school and become fluent in the ins and outs of primary care. Those who wish to specialize in specific areas must obtain post-graduate degrees. The Cuban medical education system stresses the physician’s role in promoting public health and their moral obligation to help decrease the disparities between healthcare and inequalities. Cuba’s vaccination program was implemented in 1962, and as a result, the country has had some of the lowest rates of “vaccine-preventable infectious diseases” in recent years. The National Immunization Program (NIP) demands mandatory participation. The important and scientific evidence behind vaccinations is consistently incorporated into school curriculums and class discussions. The two committees, Defend the Revolution and the Federation of Cuban Women, consistently keep up with the vaccine schedule and aid in the enforcement of mandatory immunizations. They visit neighborhoods on a regular basis to discuss legislation and government politics. This creates an informed population in regards to recent news on personal and public health. The Federation of Cuban Women tracks down every infant to ensure he/she has been immunized. Aside from Cuba’s interactive-focused healthcare system, the medical community has also researched and pioneered many scientific innovations. In 1985, the country founded the first and only vaccine against meningitis B. The country has also developed new treatments for diabetic food, vitiligo, psoriasis, and hepatitis B. Cuba is also the first country in the world to eliminate the transmission of HIV and syphilis from mother to child. Cuba’s emphasis on personal doctor-to-patient relationships and preventative care versus curative cure is the main contributor to reducing Cuba’s infant mortality rate. By taking measures to prevent diseases and postpartum complications, physicians are able to avoid birth obstacles that would not only increase infant mortality rates but also mother postpartum deaths. With Cuba’s initiative and ambition for universal, affordable and efficient health care, the country is able to care about its citizens and serve as a role model for other countries.